It’s Friday and we’ve reached the end of a journey – the last in our series of reviews of the High Street Dreams, BBC ‘reality TV show’ about product branding, packaging & design development. Following on from yesterday, we continue to look at ‘Homeware’, but this time it’s the turn of Bex Simon, an artistic blacksmith who designs beautiful one-off metal-ware objects for the home. From her forge in East London, she produces stunning one-off commissioned ‘works of art’ in steel. Everything from table-top candelabras to ornate garden gates. Like many other small businesses, she is limited by the achievable output from her ‘one-woman-band’ operation and to meet demand in a more ‘cut-throat’ commercial world would need to find reliable partners/outsourced resource who could produce her designs to the same quality but at a fraction of the cost. Bex’s mentor in the show was product designer Nick Munro, who is famous for (at the age of 23) kick-staring his ‘business empire’ by turning a bedspring into a commercial success as an ‘egg cup’. He has since created ranges for John Lewis, Arga and Fired Earth, with over 500 designs in production. As a starting point he took Bex to the Victoria & Albert museum (V&A) to study 5 centuries-worth of ironmongery as inspiration. Was she inspired? You bet! Everything from cotton-twist glass, pan hangers, bells, door chimes and (the crowning glory) a pestle & mortar, which got Bex really excited! So off she went to design her own and a week later, after mapping out all of her ideas on a giant floor-mural, came ‘back to the table’ with a wonderful pestle & mortar of her own. 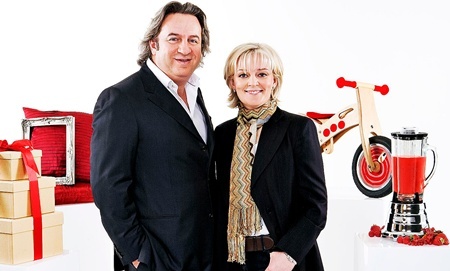 She contacted a commercial casting foundry regarding a mould and after commissioning a prototype, she sat down with the Jo Malone, Nick Leslau and Nick Munro to be quizzed about costings and, like many of the other creative ‘contestants’, failed miserably when it came to business and finance. Bex’s solution was to involve her husband Dave more in the business to cover the financial aspects, leaving her to cover the artistic elements. At this point branding consultancy Landor were brought into ‘the frame’, providers of branding to well known brands like Heinz Baked Beans, Morrison’s supermarkets and Vodafone, to name but a few. The result was some very alluring branding in the form of an eye-catching and distinctive bright pink anvil logo (great) and a very appropriate grey/slate carton embossed with some swirling bubbles, the logo and a short sentence on the back of the carton, also in bright pink lettering (tastefully done): “FORGED with LOVE”. Bex says of the logo, it was a “cleverly designed pink colour infill to be off centre to represent the jarring from the strike of the hammer” The box was lined with some matching bright pink tissue paper which added vibrancy & energy to the pestle and mortar product within. See the picture above. Of all of the High Street Dreams packaging shown over the past few weeks, this is my favourite. Bex says herself, on her website: ”the colours we chose for the packaging and website were to represent the filth and grime of the workshop, whilst maintaining a luxurious and premium feel.” Having looked at Bex’s website (link at end of this post), I think that the branding there is also well put together and professional looking – overall it’s all very well coordinated. Unfortunately for Bex, unlike Harry, consumers weren’t as engaged for her, with products priced at £125 for a pewter? 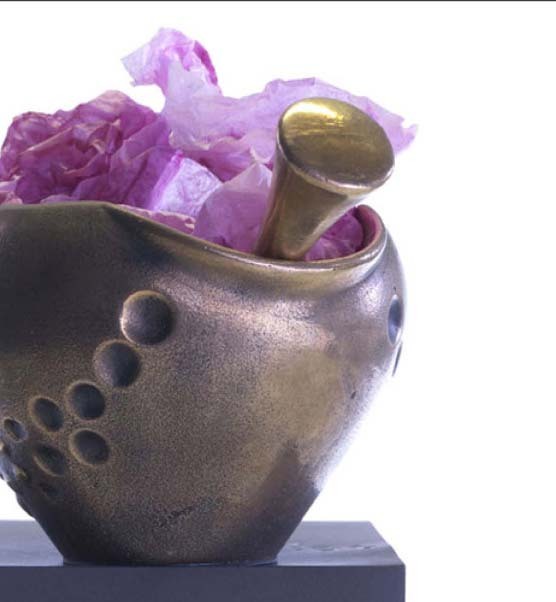 (or maybe steel) pestle and mortar and £250 for a bronze version. Everyone liked her work but no one was willing to pay that sort of money for a piece of ‘kitchen decorative art/furniture’, even though it was all “hand finished and polished”. This led to a concern by Jo and Nick that Bex wasn’t ready to pitch to a retailer – they thought that she needed more time to get her ‘act together’, which Bex took pretty well really. So she lived to ‘fight another day’. It’s interesting to note that, since the programme Bex announced on Twitter recently that she had been approached by Heals with a view to displaying some of her work in-store. So that’s a positive conclusion – well done Bex! In terms of packaging, where does that leave us? As far as I can tell, at the moment the only products that Bex is selling as ‘retail items’ are the pestle & mortar, which are available on her website for a price of £80 now – a big reduction on what they were being sold for at the Ideal Home Show exhibition. Other products, such as her wrought iron gates and garden furniture etc are generally huge and bulky, one-off items. These are impractical to develop or even have a need for a range of bespoke packaging but I think that Bex should make the most of her branding and maybe make some wrought-iron ‘tags’ on which she could etch “FORGED with Love from Bex” with her logo (each painted pink) as a really engaging and personal note to each customer – and that would be really novel! I believe that there is also a place for Bex to print some really high quality brochures (if she hasn’t done so already), with some stunning atmospheric photography to engage consumers at an emotional level, providing an opportunity for Bex to ‘connect’ with her target market. She could provide all sorts of information on the brand heritage, her vision for the business, brand values, the methods she uses to make her artistic creations, the quality of materials & methods used and really build an emotional story on which to ‘pivot’ her brand. Clearly there is a need to transport and protect the large items as they are transported, which is probably best performed by some form of ‘designer (pink?) bubble-wrap’ or other, more environmentally friendly material. 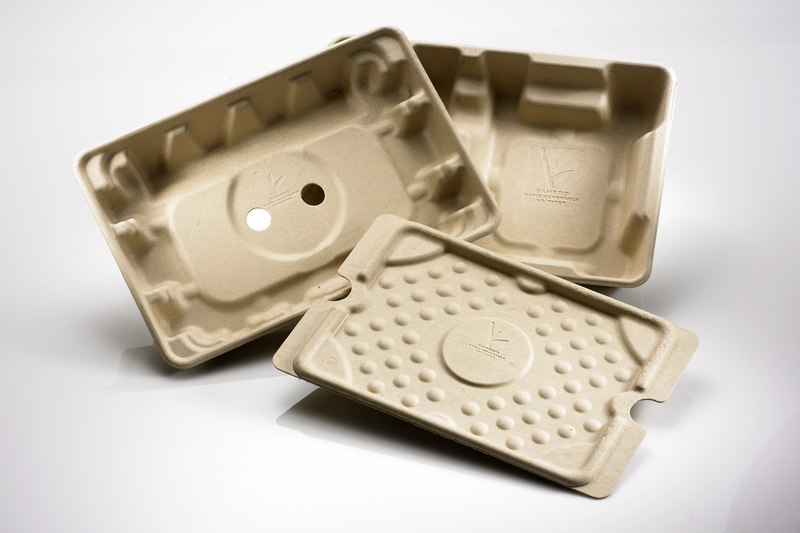 Careful use of traditional ‘padding’ materials like corrugated board and bubble-wrap can provide a simple enough ‘filler’ to protect the product from crushing, but there are a number of alternative organic, compostable and ‘sealed air’ filler materials around now that can also provide a more ‘environmentally friendly’ transit packaging solution. These could be complimented with the embossed ‘anvil’ metal labels that I mentioned above to provide some branding. I hope that this has highlighted SOME of the added branding and packaging considerations that need to be taken into account when developing and selling high quality bespoke art products to the market. Well done Bex, we wish you every success in the future. 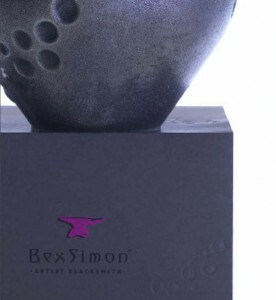 You can find out more about Bex’s products from her Bexsimon website. So it’s Thursday and it’s time for us to continue our review of High Street Dreams, the BBC ‘reality TV show’ about product branding, packaging & design development and in particular look at ‘Homeware’ and Harry Singer from Somerset with his innovative wall hanging picture ‘Monkey frames’ product. Harry is a likeable 34 yr old whose idea consists of a fantastic way to display photos using magnets and a metal frame. It was conjured up “in the pub” two yeas ago after ‘connecting’ the thoughts that it’s easy to print photos on-line these days but difficult to display them on the wall. So he made a few ‘Monkey Frames’, as he called them ( a “cheeky, hanging product”), and sold them to friends. The rest ‘is history’ as they say. Before the TV show he’d already spent £4000 developing the idea further, so he was pretty serious about it – a great product that’s really unique. Harry, quoting the likes of Google and IBM, with their straplines “organise the Worlds information” and “a computer on every desk in the home” came up with his own version “get photos on every wall in every home”. 1. The name ‘Monkey Frames’ didn’t particularly appeal to students. 2. The modularity (or lack of it) of the system also seemed to be an issue. So Harry had a lot to think about. Critic Nick Leslau reiterated these concerns about the product concept (being a fixed system for 16 photos) and thought that Harry should rethink it and try to redesign it into a more flexible system. Enter designer Ben DeLeesy, famous for his ‘red carpet’ dresses, who then branched-out into interiors 10 years ago. His philosophy: “The product has to stand the test of time – you can’t just be a fleeting trend”. He now has one of the biggest ranges of ‘homeware’ on the High Street. His thoughts on how to make ‘Monkey Frames’ appeal more to the consumer were: “ingenuity, ambition, hunger & drive. 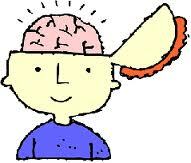 If Harry gets the timing & product right, the £’s & pence will follow big time.” Easy peasy then! The first job Ben suggested was to undertake a competitor review, looking at products like a ‘shower curtain’ (a hanging photo product). He was quick to point out to Harry, that “It’s not about your love of photos. At the end of the day, this is business!” (Wise words for any new start up entrepreneur). On the flip side, commenting on Harry’s design, he said: “I love them, but you need to break it down into different sizes, not just a ‘one- hit-wonder’. You’ve got to make it more versatile, to reach a broader base. At that point I think it dawned on Harry the amount of work that he still had to do – and in a very short space of time! To cut a long story short, Harry went away, completely redesigned his product and in the process made it look really ‘tacky’& cheap (to get the cost down) and was pushed (by the HSD evaluating team) into deciding whether to stick with a ‘cheap-jack’ version or as Ben & the team intimated, take it back ‘upmarket’ and redevelop a ‘cheap-jack’ version later. To everyone’s relief he chose the latter – and everybody was happy. Enter branding agency ‘Heavenly’, who rightly (in my view) affirmed that ‘Monkey Frames’ (as a brand name doesn’t work too well). It describes the product and not the ‘lifestyle choice’ that the product could deliver. It was also polarizing (aimed at a young consumer) and not of broad appeal. Brand ‘Phlib’ was unveiled – Photo Liberation – “Set your photos free” – great concept and easy to remember. I like it! Harry got a great response at the show, making his first sale, but when the ‘financials’ were discussed, it came to light that Harry needed to sell 10,000 units to recoup his tooling costs and 20,000 units to ‘breakeven’ – a big investment on his part and a bit of ‘millstone round his neck’! Anyhow, that aside, Jo and Nick put Harry through to pitch to Heals, one of the most influential homeware retailers in the UK. A 200 year old store with a turnover of £37M and renowned for ‘breaking’ new designers. He got to pitch to Trading Director Gillian and Head of Accessories Furzana. Apparently they get to sit through 1000 pitches per year and of those, roughly 50% are successful. So what a bout the packaging? (hooray I hear you say!). ……The Heals buyers did mention the packaging at a superficial level. They liked the phrase on the promotional poster “photos belong on your wall – not on your hard drive (well done Heavenly again), but as I’ve mentioned on my other posts about this series, the packaging wasn’t entered into in any great depth. Not surprising bearing in mind the time constraints of the show. So let’s have a look at that now and think about some of the packaging issues that Harry will have either now, or potentially in the future, and try to help him pre-empt them. Harry’s website does a great job at ‘selling’ the brand. On-line retail means the packaging does not really need to perform a selling role at Point of Sale (POS). I’m not sure if Harry is still selling at Heals and how these products are packaged to provide a consistent brand image with website and POS, but it’s something that needs to be considered carefully. I notice that Harry has already started to incorporate with his frames 3M Command™ Strips, to avoid customers having to hang or screw the frames to the wall and that’s a nice ‘added value’ touch. Bearing in mind the flexibility of the modular system that he has developed, the packaging provides an ideal opportunity for ‘up-selling’ other frame sizes, providing ideas on wall-layout, and other photo/frame/homeware accessories. If still selling through retailers such as Heals, Harry is probably already aware that product and bar code information will be required. This may not necessarily be so for Harry’s own website initially, but as his business grows, this type of information will greatly aid stock control. For consumers, useful information could include, at a basic level – frame size, colour, price, contact details but at a more emotional and engaging level, provides an opportunity for Harry to ‘connect’ with his target market. He could provide all sorts of information on the brand heritage, his vision for the business, brand values, the methods he uses to make his frames, the quality of materials & methods used and really build an emotional story on which to ‘pivot’ the brand. From Harry’s online store, I should imagine that most of his transport needs are met by a courier such as DHL or other. I’m not sure what sort of stock-holding Heals will want to keep, but it’s certain that they will want to manage & move their stock in the most efficient way possible. To enable this, as well as relevant information, they will want frames boxed into suitable multiples (6, 10, 12 or whatever). The shipping boxes used will require their own ITF bar codes to enable ease of handling & storage. now that can also provide a more ‘environmentally friendly’ transit packaging solution. If you want an interesting insight into the perils of picture frame packaging issues and remedies, check out this interesting article on the topic on the Datalite website. I hope that this has highlighted SOME of the packaging considerations that need to be taken into account when developing and selling a product like picture frames and supplying them to market. I’m not sure how many of these issues were discussed ‘off camera’ during the programme, but they all play their role in a successful launch, and ‘branding’ is only a part of the picture. So well done Harry, for getting this far, and we wish you every success in the future. You can find out more about Harry’s products from his Phlib website. Friday 23rd July: ‘Homeware’ – Bex Simon an artistic blacksmith who designs beautiful one-off metal-ware objects for the home. This article is a follow-on from the two that I wrote yesterday and Monday, which provided an overview on the packaging design aspects encountered in the recent mini series High Street Dreams on BBC1; The ‘reality TV show’ about product branding, packaging & design development. Over the series Jo Malone and Nick Leslau helped a number of individuals to launch new products. Today we focus on Programme 3: ‘Fashion accessories’ striving to be the next fashion brand and in particular on Claire English, a contemporary jewellery designer from Lewes, East Sussex, making distinctive and eclectic homemade jewellery. Help and advice was provided to Claire on the show in the form of Stephen Webster, a jeweller to ‘the Stars’, including Christine Aguellera, Kate moss and Cheryl Cole. He emphasised that, as a newcomer, Claire must “earn every inch”, “convey her story” and “focus” her collection. 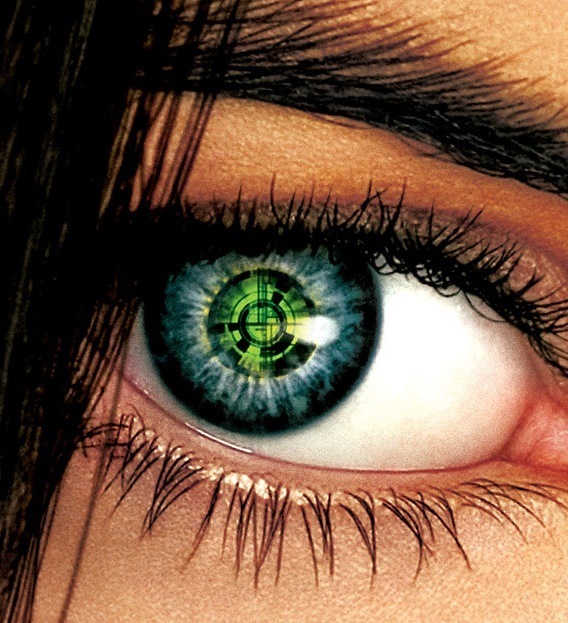 He thought that she needed a ‘hero’ (star) piece, to ‘draw the eye’ in the ‘polished’ environment of a designer shop to hold potential customer interest. Claire did subsequently amend her product range and decided to be ‘the face & name’ of her own brand. During ‘market research pitches’ in a real retail environment, although her creative skills were without question, doubts about her commercial ability to run a business were raised. However, the team decided to let her pitch to Selfridges, the ‘flagship store’ in Oxford St, London, to Anne Pitcher the Buying and Merchandising Director. 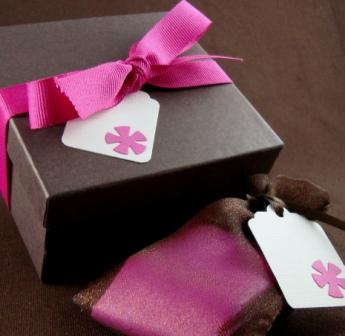 Claire’s packaging provided a “Beautiful presentation” with pretty bows and ribbons and cut with scissors – a nice touch! At £2 each, the boxes weren’t cheap (especially for a small business when the minimum order quantity is 1000), but they ‘did the trick’. Some of Claire’s jewellery, made from unorthodox items such as ‘bubble blowers (see picture above) and matchsticks were seen as ‘very English’, with good ’stand-out’ in media such as magazines that would “give the ‘press’ something to talk about”. Indeed Claire was commended by Anne: “Congratulations – Quite extraordinary – You have thought about PR and POS material”. Although she was warned to “think about the competition”, which is something that is often a good starting point for us at Design Cognition when thinking about designing any new packaging. Not that we would necessarily follow the ‘norms’ of a particular sector, but at least it can provide a useful ‘benchmark’. Ultimately although Selfridges liked Claire’s work very much, saying that it was” quite special”, they did not place an order on the day, because the jewellery was only at prototype stage. They wanted to wait until they had seen a ‘production sample’. Seeing as Claire’s work is now listed on her website as “available online from Selfridges”, we are assuming that she was finally successful, although there only appears to be one product on-show. A good starting point, but to develop a thriving business Claire will evidently need to ‘roll this out’ further at Selfridges and also through other channels. The on-line shop on Claire’s own website appears to be “coming soon”, which is a shame because she’s probably missing out on a lot of the good PR from the TV show, which could have given her a good kick start with her fledgling business. Granted, that packaging is not the main selling point for a Claire’s jewellery – especially if it’s going to be sold on-line. However most of the items will be bought as gifts, and for a price of around £100 per item, customers will expect some nice packaging as part of the price. 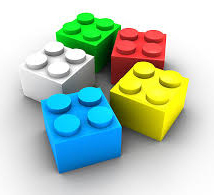 As mentioned in my previous postings, when developing effective packaging, a unique set of circumstances needs to be considered, depending on the product itself, the route to market (whole supply chain) and consumer needs involved. 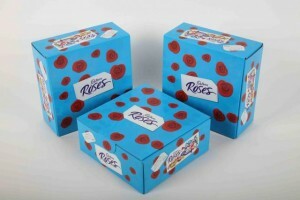 Packaging performs a number of varied and important roles; containing, protecting. preserving, transporting, informing & selling and has to meet a number of important stakeholder needs at all stages of the supply chain, from manufacturing & filling, through warehousing & transportation, retail and consumer-use to final disposal or reuse. Purchasing ‘fashion accessories’ like jewellery is a much more ‘tactile shopping experience’ than for other products like foods. As Claire seems to be concentrating sales presently through an on-line route, perhaps this is not so much of an issue, but as the brand and sales channels develop into more ‘customer facing’ ones, needs will evolve. Claire showed on the programme that she has ‘an eye’ for some innovative gift packaging ideas with her bows & ribbons and this is a good start. 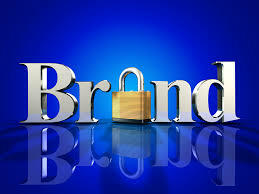 This will enhance perceived ‘value’ and if developed to mirror her other branding will reinforce the brand credentials. On-line retail means the packaging does not really need to perform a selling role at Point of Sale (POS). However, the benefits of ‘added value’ gift packaging have already been mentioned and this can help promote referrals from clients, friends and relatives. If done properly and using stylish ‘must have’ packaging that could also act as a funky jewellery box, with subtle use of branding, the packaging will perform a permanent sales role on the dressing table. It may also help promote ‘up-selling’ to other pieces of Claire’s jewellery & trinkets. All merchandising; packaging, brochures, website design etc – all need to work together to provide a consistent message and brand image. Take a look at the Daisy Chain packaging in the photo that is something that someone would want to keep and cherish. If selling through retailers such as Selfridges, product and bar code information will be required. This may not necessarily be so for Claire’s own website initially, but as her business grows, this type of information will greatly aid her stock control. 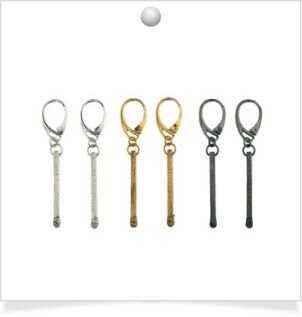 For consumers, useful information could include, at a basic level – jewellery name, collection name, materials, colour, price, contact details but at a more emotional and engaging level, provides an opportunity for Claire to ‘connect’ with her target market. She could’ like Beryl in yesterdays article, provide all sorts of information on the brand heritage, her vision for the business, brand values, the methods she uses to make the jewellery, the quality of materials & methods used and really build an emotional story on which to ‘pivot’ the brand. From Claire’s online store, I should imagine that most of her transport needs are met by DHL or some other courier. I’m not sure what sort of stock-holding Selfridges will want to keep (if any), but it’s certain that they will want to manage & move their stock in the most efficient way possible. To enable this, as well as relevant information, they will want jewellery boxed into suitable multiples (6, 10, 12 or whatever). The shipping boxes used will require their own ITF bar codes to enable ease of handling & storage. Jewellery manufactured from ‘hardy’ metallic materials but can be very delicate at the same time. Careful use of traditional ‘padding’ materials like coloured tissue paper can provide a simple enough ‘filler’ to protect the product from scratching and crushing, but at the same time can also provide a lovely ‘backdrop’ to accentuate and contrast the glistening colours of the metalwork. As well as product, any lovely gift boxes will need to be protected in some suitable transit packaging if being sent vie courier; it is not uncommon for packets to be used as ‘footballs by postal workers. Containment is usually more of an issue for products like liquids and powders, which can spill or leak, rather than jewellery. Although Claire is presently selling on-line, as she builds a portfolio of products being sold in retail stores, she might want to consider how consumers will ‘contain’ their jewellery and gift boxes during the trip from shop to home. As with Beryl, this is another ideal opportunity for her to provide some ‘added value’ packaging, such as high quality branded shopping bags or boxes that will raise brand awareness and ‘perceived brand value’ with consumers and act as a ‘walking’ advert through the shopping streets of our towns & cities. Take a look at the novel Stephen Einhorn ‘Heartbreak’ packaging, which provides a great ‘twist’ on containment, with all sorts of subliminal messaging that will help engage potential customers. I hope that this has highlighted SOME of the packaging considerations that need to be taken into account when developing a product like jewellery and supplying it to market. I’m not sure how many of these issues were discussed ‘off camera’ during the programme, but they all play their role in a successful launch, and ‘branding’ is only part of the picture. So well done Claire and we wish you every success in the future. You can find out more about Claire’s products from her Claire English Special Jewellery website. 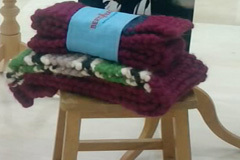 ‘Necking it’ – Woolly packaging for ‘Queen Beryl’? This article is a follow-on from the one I wrote yesterday, which provided an overview on the packaging design aspects encountered in the recent mini series High Street Dreams on BBC1; The ‘reality TV show’ about product branding, packaging & design development. Over the series Jo Malone and Nick Leslau helped a number of individuals to launch new products. Today we focus on Programme 3: ‘Fashion accessories’ striving to be the next fashion brand and in particular on Beryl Brewis, a single mum with 2 teenagers from Buckinghamshire, producing high quality chunky hand-knitted scarves. Help and advice was provided to Beryl on the show in the form of fashion’s most vocal critics to give their verdicts: Nicole Smallwood from Marie Claire, Angela Bottolph online editor from Gratzia magazine, Mario Latandie from Tatler, Dolly Jones from Vogue.com and Kate Creasy from Cosmopolitan. The general feeling was that they liked Beryl’s ‘rich & earthy’ colours, but didn’t like her chunky buttons. However, they did think that the scarves were well overpriced, considering comparable competition. So what was the remedy? Creative Director of Pringle, Claire Waight Keller (ex-Gucci and Ralf Lauren) was brought in to give the benefit of her experience. She thought that the texture & colours were “great” but had to be ‘brutal’ to get Beryl to see ‘the bigger picture’ – not to be “too precious”. So it was ‘off with the buttons’ to give a “richer more playful scarf” and a small patch of stripes to provide a much more exciting product range. But, as with many small businesses, a major problem for Beryl is how to upscale from a 1 person operation to a larger corporation, increasing output but still maintaining Quality Control, which Beryl has tackled by using her ‘granny army’ of local OAPs. Branding guru Perry Haydn Taylor was brought in; a top branding consultant who has branded many top products such as Boden clothing & Gu desserts. His team undertook some promotional filming which was executed well and “really brought it to life” for Beryl. Perry’s team also designed some prototype packaging, which consisted of a paper wrap-around label (see photo above). Granted, that packaging is not the main selling point for a handmade high-quality scarf, but I felt that it was pretty basic and a bit ‘lacking’, for the following reasons…. For each of the product areas covered in the TV programmes, a unique set of circumstances needs to be considered, depending on the product itself, the route to market (whole supply chain) and consumer needs involved. 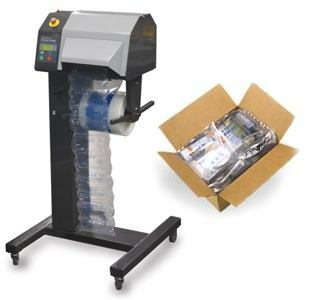 Packaging performs a number of varied and important roles; containing, protecting. preserving, transporting, informing & selling and has to meet a number of important stakeholder needs at all stages of the supply chain, from manufacturing & filling, through warehousing & transportation, retail and consumer-use to final disposal or reuse. Purchasing ‘fashion accessories’ like clothes & scarves is a much more ‘tactile shopping experience’ than for other products like foods. Whilst some up-market strategically placed packaging can enhance perceived ‘value’, the printed text is mainly aimed at reinforcing the brand credentials and providing product and bar code information for identification and tracking logistics movements and sales. The selling role involved for the scarf packaging will depend to a certain extent on whether Beryl takes the retailer route to market or an on-line one. If both routes are being used, the selling role is obviously more important in a store and will need to work in tandem with any merchandising at Point of Sale (POS), brochures, website design etc – it all needs to work together to provide a consistent message and brand image. As well as the product and bar code information mentioned above, useful consumer information could include, at a basic level – scarf colour shade, scarf length, price, contact details but at a more emotional level, provides an opportunity for Beryl to ‘connect’ with her target market. She could provide all sorts of information on the brand heritage, her vision for the business, brand values, the people that knit the scarves, the quality of wools and yarns used and really build an emotional story on which to ‘pivot’ the brand. Retailers will want to manage & move their stock in the most efficient way possible. To enable this, as well as relevant information, they will also want scarves boxed into suitable multiples (6, 10, 12 or whatever). The shipping boxes used will have their own ITF bar code requirements to enable ease of handling & storage. Beryl might not be shipping lorry loads (yet), but boxes should certainly be designed for optimum pallet fit. Containment is usually more of an issue for products like liquids and powders, which can spill or leak. However, Beryl might want to consider how consumers will ‘contain’ their scarves during the trip from shop to home. This is another ideal opportunity for her to provide some ‘added value’ packaging, such as high quality branded shopping bags or boxes that will raise brand awareness and ‘perceived brand value’ with consumers and act as a ‘walking’ advert through the shopping streets of our towns & cities. Take a look at the pictures here of the Saskia Rose bag and box packaging range and the Sayak jewellery packaging as stylish examples. One could argue that scarves, being woolen, are in little need of protection and to a certain extent that is true – certainly compared to many other products. However although fairly ‘flexible’ and ‘forgiving’, there is certainly a need to consider protection from the elements such as direct sunlight (which might cause fading), moisture (which might cause mildew), vermin attack (in dark/damp warehouses) and taint or damage from other products (such as chemicals) stored in the near vicinity during transport or warehousing. As Beryl considers export markets, these issues will become greater and more complex. A scarf will not have a limited shelf life like a food product, although it might well go ‘out of season’ or ‘out of fashion’. So preservation is not so much of an issue here, although optimum packaging, to protect from the dangers raised in ‘Protection’ above, will ensure that the scarves reach their destination in perfect ‘tip-top’ condition and in exactly the same state as when they left the knitting needles! I hope that this has highlighted SOME of the packaging considerations that need to be taken into account when developing a product like a scarf and supplying it to market. Developing packaging with sustainability and the environment in mind is another area that I have not discussed and goes ‘without saying’ these days. I’m not sure how many of these were discussed ‘off camera’ during development, but they all play their role in a successful launch, and ‘branding’ is only part of the picture. Anyhow, despite the issues that I have raised, Beryl’s products were well-liked when she ‘pitched’ to a team of buyers headed by Belle Robinson who co owns Jigsaw (she has a husband who started the brand originally) and Beryl secured an order worth £25K. So well done Beryl and we wish you every success in the future. You can find out more about Beryl’s products from her Berylware website. Over the next 3 days, I’ll take a look at the other 3 products covered in last two shows and as well a giving an overview of what happened in those shows and how packaging and design aspects were tackled, as above, I’ll also take a ‘step-back’ and provide my own thoughts on some of the other important issues that those entrepreneurs need to consider (or should have considered already) in the successful launch of their products to a mass market! Wednesday 21st July: ‘Fashion accessories’ striving to be the next fashion brand. 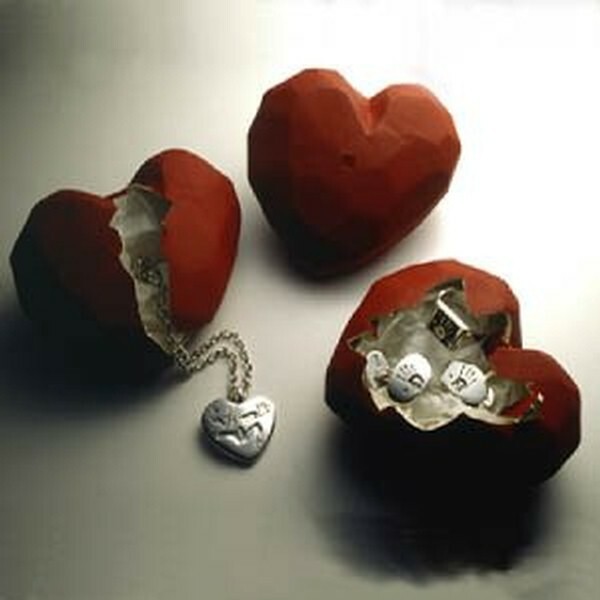 Claire English from Lewes, East Sussex making distinctive and eclectic homemade jewellery. Thursday 22nd July: ‘Homeware’ – Harry Singer fro Somerset with his innovative wall hanging picture ‘Monkey frames’ ( Phlib) product. Friday 23rd July: ‘Homeware’ – Becks (Bex) Simon an artistic blacksmith who designs beautiful one-off metal-ware objects for the home.